What do the initials WWF stand for? 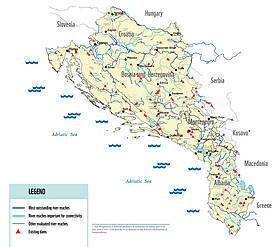 The Dinaric Arc region is abundant in narrow river canyons with fast flowing water and is one of the richest areas in the Mediterranean in terms of freshwater. According to the latest available data , currently 43% of electricity in the region is produced by hydropower plants, but due to hundreds of new hydropower plants in the planning or construction phase this share is expected to increase significantly. 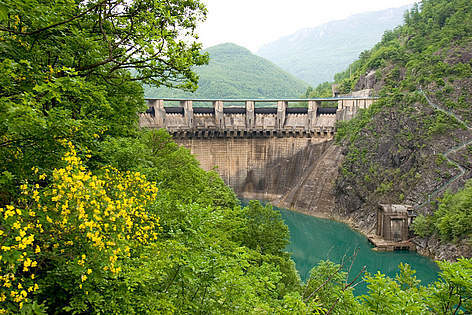 To protect the long-term sustainability of freshwater ecosystems in the Dinaric Arc, WWF Mediterranean launched the Dinaric Arc Sustainable Hydropower Initiative (DASHI) in 2011. Hydropower is an excellent source of energy and in some cases the right choice for meeting energy needs. However, hydropower is not green energy by definition. The World Commission on Dams , which was established by the World Bank  and the International Union for Conservation of Nature (IUCN) , also realized that if dams are built without adequate concern for the local community and nature, and if they are built taking into account purely economic aspects, they cause more harm than good. The DASHI project aims to change the behaviour of key stakeholders in hydropower development (developers, financial institutions, legislators), improve the legal framework for strategic planning including declaration of exclusion zones for hydropower development, and strengthen the capacity and mobilize civil society in preventing unsustainable hydropower projects, especially in sensitive areas with high biodiversity. · facilitating discussion and building trust to achieve a common understanding of sustainable hydropower in the region that will contribute to both people and nature.